Zhejiang Geely Holding Group, the owner of Volvo and foreign partner of Proton, plans to take a major stake in Daimler, the maker of Mercedes-Benz. This was reported by Bild am Sonntag, the weekend edition of Germany’s Bild daily, citing sources. Geely could even become Daimler’s biggest shareholder, the report said. Bild‘s sources said in November last year that Daimler turned down an offer from Geely to take a stake of up to 5% via a discounted share placement. The German carmaker however said that Geely was welcome to mop up shares in the open market. According to a report earlier this week, Geely had already done so, and its 5% stake purchase is expected to be announced soon. If it’s 5%, Geely’s stake will be smaller than BlackRock’s 6% and the Kuwait Investment Authority’s 6.8%, but larger than the 3.1% held by the Renault-Nissan Alliance. The Gulf state’s sovereign fund is the current largest single shareholder in Daimler, which is 71.2% owned by institutional investors. Insiders believe that this is all to do with electric vehicle technology, in view of China’s tough new quotas aimed at reducing pollution and lowering the country’s reliance on oil. Sources say that Geely wants to access Daimler’s EV battery technology and wants to start an EV joint venture in Wuhan. Daimler has existing Chinese partners – ties include a venture with BYD, China’s leading EV maker, and state-owned BAIC. The latter has announced that it will stop the production and sales of vehicles with internal combustion engines by 2025, going full electric. OMG, those clowns next to Kesas start another syok sendiri daydreaming … about rebadging SLK to Putra and it will sell like hotcake. Price under RM60k, konpem sell like hotcake. Proton and Geely fanboys all syiok sendiri. They think Mercedes going to give AMG technology to Proton cars. Come on, get real. Shareholding is shareholding. It is like you, if you buy TNB shares, it does not mean Tenaga Nasional is going to give you purer electric or cheaper electric. You are just a shareholder. Fullstop. But Proton fanboys here all thing their Saga is going to be given with AMG technology and be called Saga E63 or Saga E45. Another bodoh like that ioma. You people really think those “fanboys” don’t know the difference between stakeholding and shareholding kah? Get real, the only people syiok sendiri here are bashers just looking for a reason to be triggered. No need to ask Mercedes, Petronas have most of AMG secrets. Just go and ask them. No one thinking like that..it was only you..shame on you..
hahaha.. looks like you’re the one day dreaming ioma. Nobody say that. Are u ok? Only you syiok sendiri assuming people are that dumb, ioma. Geely is Daimler’s biggest shareholder. But only the 2nd biggest in P1. 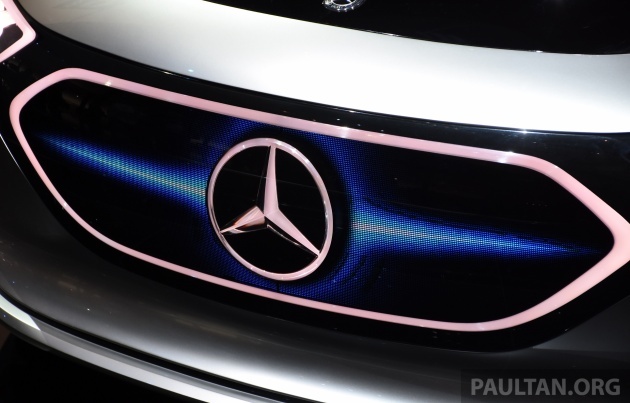 P1 bolih rebadge E-Class skrg. Proton Perdana generasi baru… meletop! Meanwhile Geely themselves sold 155k units in Jan 2018, 51% higher than in Jan 2017. Boyue sold over 30k, the best seller. Well done, we get the best from Geely, so have faith in new revived Proton soon! Lynk & Co sold 6k, not bad for a new brand. The future will belong to Geely! Soon, them jepunis will be assimilated and all those bashers will have nowhere to run. Be afraid, be very very afraid. For we r coming. Passenger vehicle sales was about 2 million in January 2018 (assuming it was about the same as December 2017). Boyue was about 1.5 percent of that. Should we expect Proton to take 1.5 percent of the Malaysian market share……? Ur equation is incomplete. U have to extrapolate it into the overall % of SUVs in each market. Say, if SUV is only 10% in China while its 40% in MY, then u have to multiply by a factor of 4. Meaning 1.5X4 = 6% of total volume which means 36,000 Boyues. Now din I say that it only takes Geely to buy another 2% of shares on open market to be biggest single shareholder? So wheres those smart alecks now? Jepunis will tremble at the might of Geely. Toyota dropping to 3rd is now ripe for acquisition. Please do not take Geely as a Godfather, OK ? Thats what happens in open market. Geely is free to buy up any shares as long can meet the price. And them sausages cant do a single thing.